Two years ago, the world witnessed the brutal abduction of 276 schoolgirls from Nigeria, who were simply studying for their classes, when their lives changed forever. While we still don’t know where many of those girls are today, at least 57 have successfully and daringly escaped. There is new hope that at least some of the girls are alive, from a video released by the terrorist group. None of the girls have been rescued and hundreds may still be in danger. The world came together to protest this gross injustice and we have to use that energy to keep moving forward in the fight for human rights. Here’s a heartfelt video from one of the mothers speaking to her missing daughter. It reminds us that we all love the same way and that we need to make this world a safe place for everyone. We work to care for vulnerable children around the world, who are often living in orphanages. Never has this work been more needed, as we now have so many children displaced from their homes. It’s estimated that 30 million children have been displaced due to war and conflict, which hasn’t happened since the end of World War II. Like the girls kidnapped from Nigeria, many vulnerable children are robbed of their chance to go to school. Our mission is to elevate the quality of life and break the cycle of poverty for children, and an essential part of that is education. Education is the key that opens up a world of possibilities to children and can be the difference between staying or overcoming poverty. We’re currently fundraising for a project in Kenya, which involves the refurbishing of 4 greenhouses on the property of the St. Catherine’s Children’s Home. Those greenhouses will allow the home to grown fresh produce, which will then be given to the 43 children living there, as well as sold in the markets. The profits gained from selling the vegetables will help pay for the school fees for the older children. 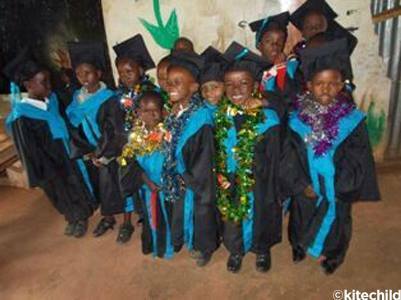 Since the home is in Kenya, higher education is not a free service for children. We’ve done similar greenhouse projects to cover educational costs at the Watoto Wema Home and the Fiwagoh Home, both located in Kenya. To help these children receive the education they deserve, please visit our project site.